South Africa’s stable ratings outlook means there’s little chance of a change in its assessment soon, Moody’s Investors Service said, adding that the country has to stabilise its debt to prevent a cut back to negative. The ratings company’s view on Africa’s most-industrialised economy “hasn’t changed drastically” since March, when it raised the outlook, Moody’s Vice President Lucie Villa said at a conference in Johannesburg on Thursday. Weak confidence will prevail until after next year’s election, she said. South Africa has a “track record of shifting fiscal-deficit targets,” Villa said. President Cyril Ramaphosa’s rise to power since December initially boosted sentiment and the rand following Zuma’s tenure of almost nine years. That optimism faded as economic reforms weren’t implemented quickly enough and global trade wars and turmoil in other emerging markets soured sentiment. Business confidence dropped to the lowest in a year last month and the rand is close to its weakest level in two years against the dollar. Ramaphosa will lead the ruling ANC in next year’s national election as the party seeks to retain the majority it has held since the end of white-minority rule in 1994. 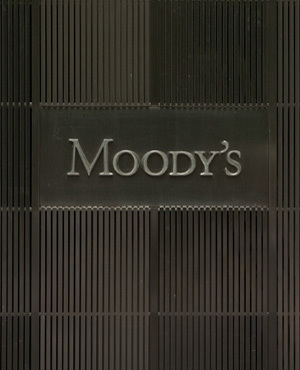 Moody’s is the only one of three major ratings companies that still assesses South Africa’s debt as investment grade. It’s scheduled to publish an assessment on October 12. Moody’s more than halved its forecast for South Africa’s gross domestic product growth after news that the economy fell into a recession in the second quarter. The government is likely to miss its budget-deficit target of 3.6% of GDP this year and the shortfall could be close to 4%, Villa said. Finance Minister Nhlanhla Nene who will present the mid-term budget to lawmakers on October 24, said this week the slower-than-expected economic growth means the government may collect less revenue than forecast. The rand has lost 17% against the dollar this year, making it the worst-performing major currency after Brazil’s real. It gained 0.8% to R14.8379 per greenback at 10:25 in Johannesburg Thursday.